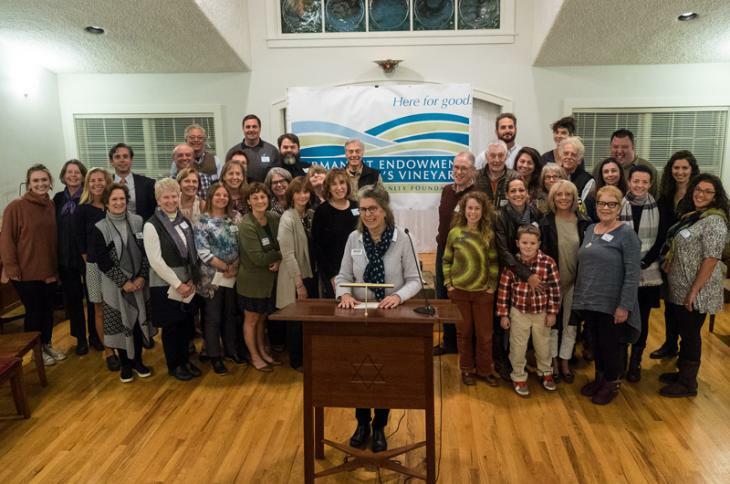 The Endowment held its second Grant Award Event on Tuesday, November 7. A warm and enthusiastic crowd gathered to hear from each of the 30 recipients about the work of their organizations and plans for their awards. Grants were given from 12 Endowed Funds, including from the four new Island Funds which specifically target the fields of interest the Endowment focusses on, the Arts, our Community, the Environment and Health. $125,000 was awarded to Island organizations, with grants ranging in size from $1,150 to $22,700 from the Mayhew Nevin Fund to assist islanders with their health care bills. The boards and staff of these non-profits, as well as donors and friends, enjoyed a wine and hors d’oeuvres reception at which informational displays were shared by the grantees, new connections were made and everyone was inspired by the work being done by so many dedicated and caring people. Stacey Rupolo covered the event for the MV Times which includes a wonderful slideshow. Louisa Hufstader captured the evening here, Vineyard Gazette. The Endowment is grateful to its co-sponsor the Martha’s Vineyard Savings Bank, and to its contributing sponsors Our Market and Chilmark Chocolates.